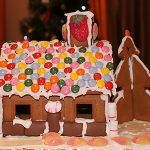 I have already enjoyed that I have executed my dream to assemble and decorate Christmas ginger house. It all started a long time ago, do not even remember exactly when even the desire to do this house is longstanding. The first time I tried to make myself templates themselves biscuits, but did not get. 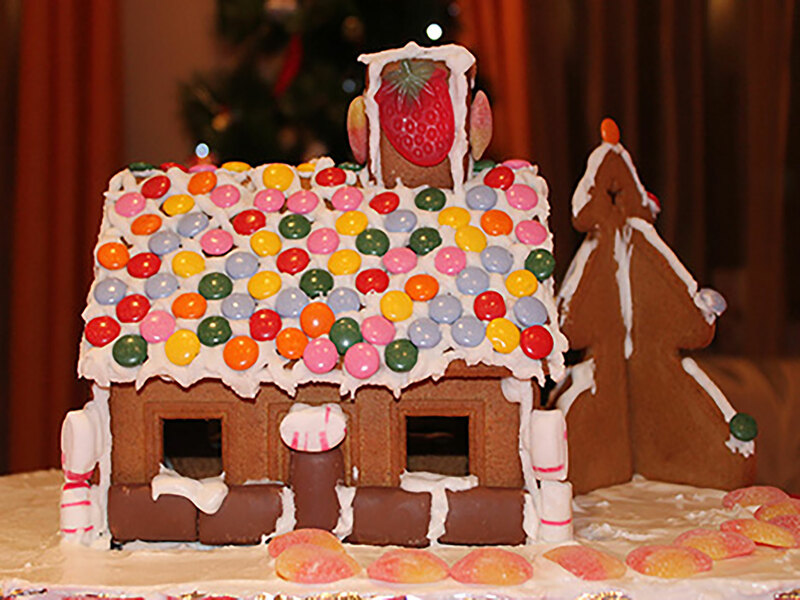 Last year, finished parts found in IKEA organised me my daughter, but made a mistake and did not do the right proportion of glue and we have broken parts of the house made of ginger biscuits. But all those we fail to understand where we are wrong and will be happy to share with the important steps that need to run, so you do not need as us to try a few years prior to obtaining the result sought. The steps you need to follow are described below and will have photos to them for easier orientation. You will never be happy if you continue to search for what happiness consists of. You will never live if you are looking for the meaning of life. Prepare the glue and pour in pastry Posh. Find a suitable solid surface that can wrap with aluminum foil. I used wooden cutting board. Place the individual parts of the house as shown in the picture and gently put glue at the base of the house of the two long parts. Put glue and short vertical walls. Put panels on the roof cross the summit between them for - traction. Assemble h and the chimney and stick it. Leave for 5 minutes nice glue to set. The house is assembled from here on, everything is in your hands and imagination. This is my version of decoration I hope you liked it and I have been helpful. Hi, I'm Tony. Cooking is the way I express my creative side to the world. Welcome to my Kitchen Corner on the Internet!